HYPEBEAST once again has the exclusive first look at one of our upcoming collaborations. 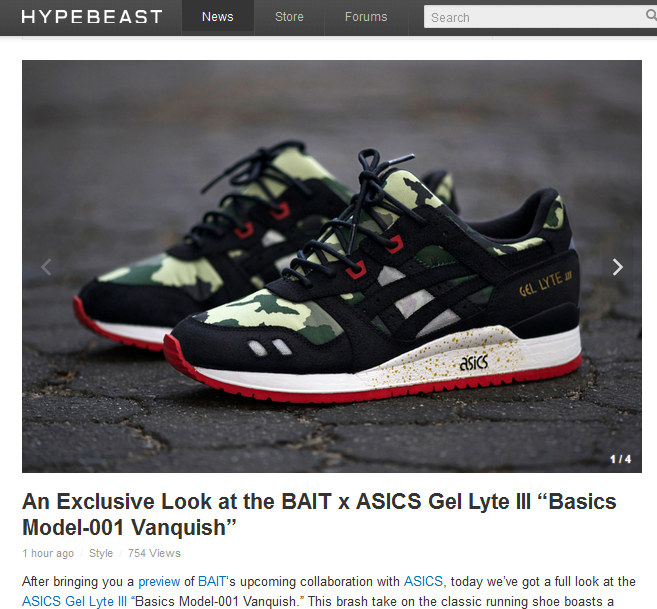 This time they’ve posted the inside scoop on the Gel Lyte III “Vanquish,” the first installment of the BAIT x Asics Gel Lyte III Series. Head over to their article to view a gallery of detailed images and read up on some details about the sneaker. Stay tuned for more release information.